SODUS, N.Y. -- Police in western New York issued an Amber Alert on Friday for a missing 14-month-old boy days after he and his mother were reported missing. 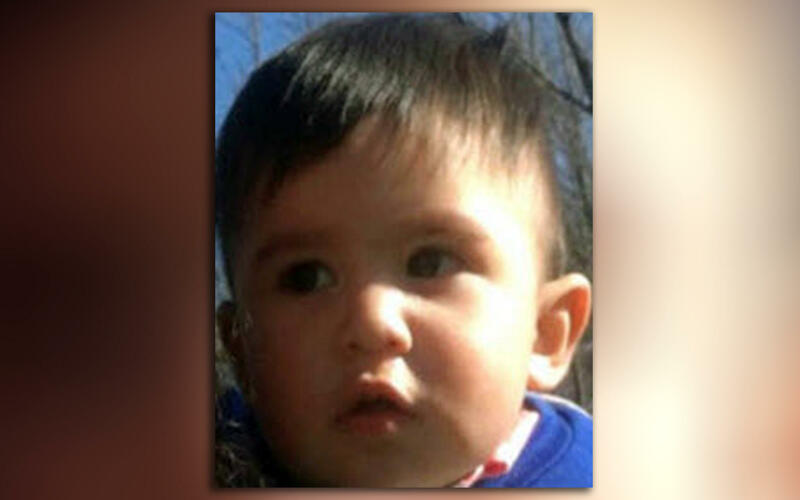 The toddler, Owen Hidalgo-Calderon, was last seen May 16. The body of his mother, Selena Hidalgo-Calderon, was found in a plastic bag hidden in the woods Wednesday. The alert said the child, Owen Hidalgo-Calderon, was last seen before her body was found Wednesday morning. "The child was taken under circumstances that lead the police to believe that he is in imminent danger of serious harm and/or death," the alert said. The toddler is known to need asthma medication, the alert said, adding it is unknown what he was last seen wearing. The body of 18-year-old Selena Hidalgo-Calderon was found at a farm in the Wayne County town of Sodus where she and her boyfriend, 25-year-old Edward Reyes, worked. The body was between two logs and covered with soil and branches. Reyes, caught on a hunter's trail camera going in and out of the woods with a shovel, was arrested Wednesday night on charges of tampering with physical evidence. He has admitted to burying the woman but not killing her, Wayne County Sheriff Barry Virts said. Reyes was being held on $25,000 bail in the Wayne County Jail pending a court appearance May 29. Virts said he is working with authorities in Mexico, where Reyes is from, to learn more about him and if he has a criminal record. He is not the missing child's father. At one point while the mother and child were missing, relatives indicated that Hidalgo-Calderon and Reyes, who lived together, may have run off because of their immigration status, the sheriff's office said, but checks of surrounding train and bus stations had turned up nothing. Rebecca Fuentes of the Workers' Center of Central New York told the Rochester Democrat and Chronicle that Hidalgo-Calderon was from Guatemala and was seeking asylum. "I don't care about your race, creed, color, national origin or religion," Virts said at a news conference. "If you are a victim, we will fight for you, we will triumph for you. If you are a perpetrator and you have abused somebody, we are going to hunt you down." Hidalgo-Calderon had been in the U.S. since November 2016, according to the Workers' Center. "My daughter and my grandson were my life," her mother, Estela Calderon, said in a statement issued by the center. "She was my first born and I feel like a piece of my heart is gone." CBS affiliate WIVB reports more than a hundred volunteers assisted in the search for the 14-month-old on Friday. The search was expected to continue Saturday morning.